new semester and the ramblings. | escaped. new semester and the ramblings. 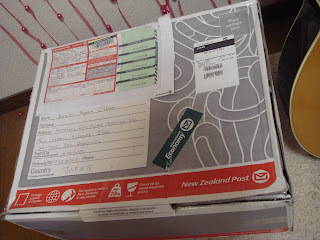 I got a parcel today :) I was surprised, the box is so big I thought she sent me a TV or something. My sister is the sweetest person ever :) I LOVE YOU! So after this if anyone sees me shopping for clothes/sweaters/mafla/gloves, PLEASE remind me of that big box arrived today. I still haven't finish How To Walk In High Heels. In progress. Classes are starting tomorrow. I hope this sem would be much, much better than last sem, but looking at the timetable, I guess not. Sigh. Why do I have to choose the hardest subjects ever. I know I should be thankful with what I got. I know I should be grateful for not having to repeat any subject(so far). But the result threw me I don't know why. I feel like it's so hard to keep up with them, like I've been living in a different world or something. At this point, I wish I'd just stay at Malaysia and with my family who I can run to whenever I'm down and just need to cry with. And I know at this point you're just too tired to read the same thing over and over. Off to bed early for an early class tomorrow. Sheesh.